Are you planning a trip to Secrets Wild Orchid Montego Bay or Secrets St. James Montego Bay? Then you’re in luck! There are so many exciting things to do on the beautiful island of Jamaica. Upon arrival at the resort, you will be greeted with a cool towel and a refreshing glass of champagne. If you’re hungry from the flight, you can grab a delicious chocolate chip cookie to hold you over until you are able to hit one of our fabulous restaurants. With 9 restaurants, 9 bars, a world-class spa, nightly entertainment, water sports and other fun activities right on our property, it goes without saying that there is more than enough to keep you entertained. But if you still looking for something a little more adventurous, there are a variety of fun excursions available on the island. 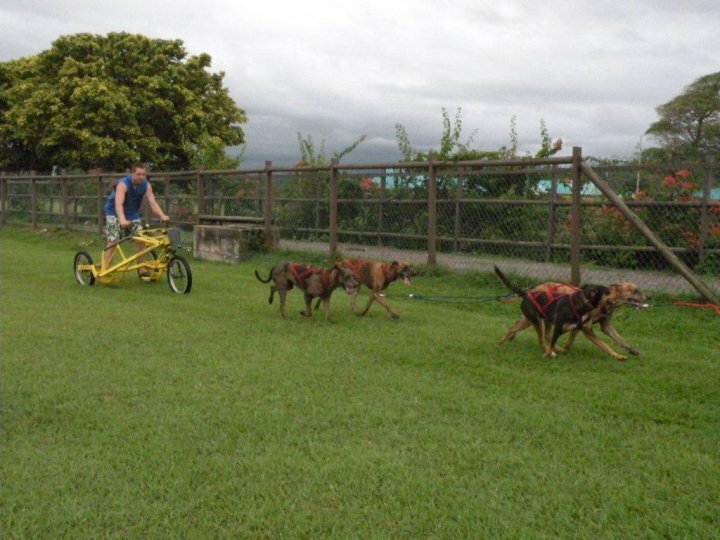 Have you ever wanted to ride on a Jamaican dogsled? Well then, Chukka Caribbean Adventures, the number one nature adventure tour provider in the region, is for you. And if dog sledding isn’t your thing, horseback riding, zip lining and river kayaking are just a few of the other options to choose from once you get there. 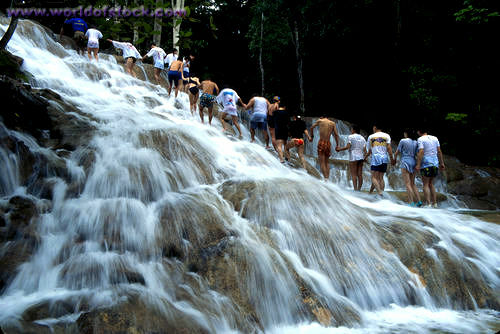 Another must see sight in Jamaica is Dunn’s River Falls. If you are brave enough, you can experience an adrenaline filled climb up a nearly 1,000 ft. raging waterfall. The incredible views and sense of accomplishment once you reach the top make this destination a once in a lifetime experience. Regardless what you choose to do while you are here, the famous slogan for Jamaica, “once you go, you know” certainly lives up to its expectations! This entry was posted in Secrets St. James, Secrets Wild Orchid. Bookmark the permalink.